Designed for the discerning eye, built for the harshest environment, and sized for competitive play. The Apex M750 TKL proves less can be more. Stunning and minimalistic design, all in a compact form factor. Small form factor is optimal for low CPI players looking to maximize mousepad surface area. Expertly crafted aluminum core paired with QX2 Mechanical Gaming Switches promise years of tournament and LAN play. "The SteelSeries QX2 switches have the perfect tactile response that let's me move around my opponents without missing any valuable keystrokes. As a low mouse sensitivity player, the small form factor gives me the space for precise mouse movements." Sander “Vo0" Kaasjager - Professional Quake player, two time esport player of the year with Fnatic and Complexity, and educated mechanical engineer. SteelSeries Engine Software features an impressive catalog of Engine Apps that make customization easy and intuitive. Unleash the full power of dynamic per key RGB backlighting to create the most complicated lighting effects in seconds. Put on a show with the new Audio Visualizer Engine App. In seconds have all your SteelSeries devices fist pumping to your favorite music. 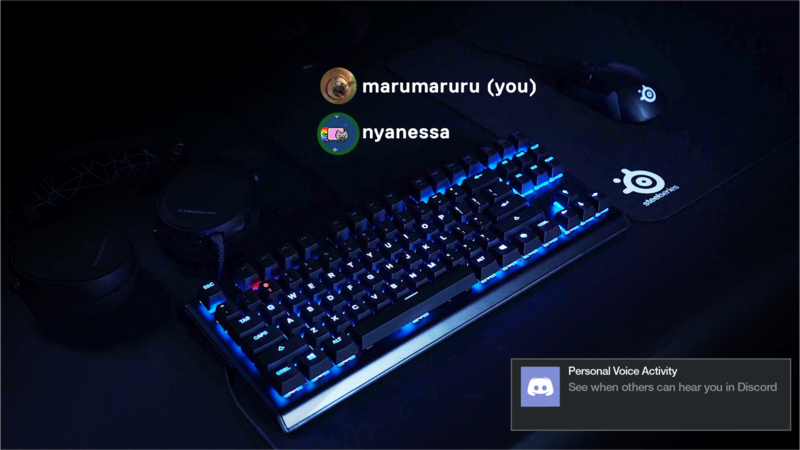 Light up your keyboard with customizable Discord Chat notifications that indicate new messages, mute status and more. Lighting configuration has never been so easy. 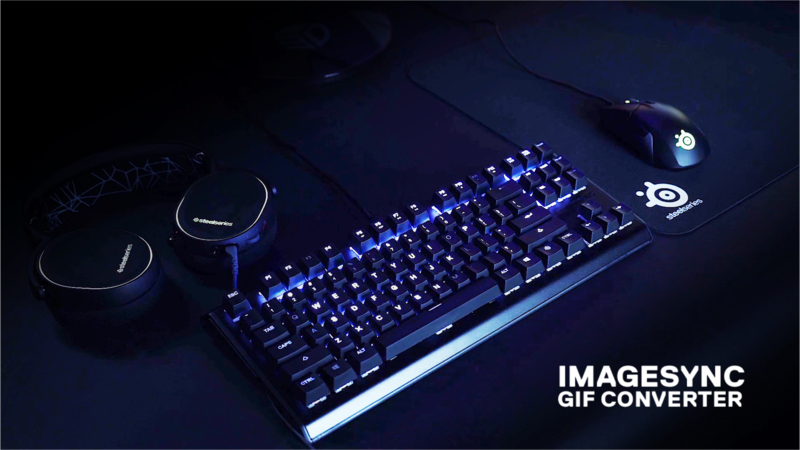 Quickly convert any animated gif into an illumination effect for your Apex M750 TKL. Ever ragequitted so hard you broke your keyboard? 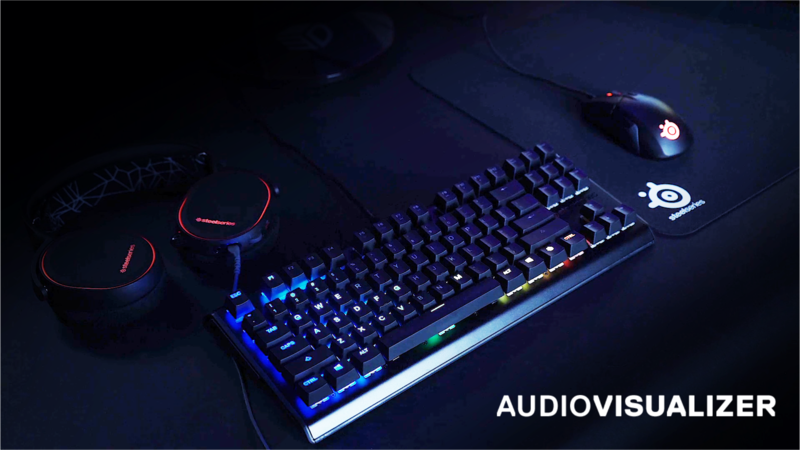 You won’t with the Apex M750 TKL’s aluminum core and SteelSeries QX2 mechanical switches. Engineered for pure performance, their linear 45g actuation point is the holy grail for players looking for the absolute fastest reaction times. Copper click leafs, clear casings and softer plastic stems combine to deliver unmatched brightness and silky smooth operation. The expertly crafted aluminum frame is more than just a sight to behold. The exclusive use of Series 5000 aluminum provides a zero-flex, lightweight, and rock-solid base for the mechanical switches. 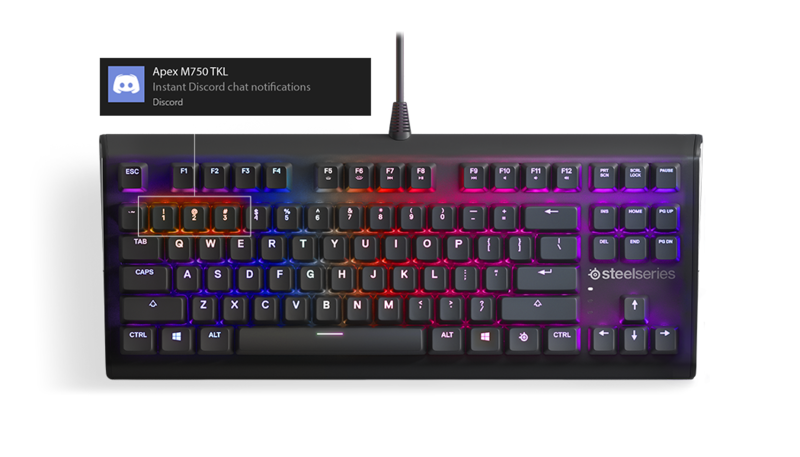 The Apex M750 TKL features customizable active and reactive lighting effects, real time in-game notifications via GameSense, and instant illumination effects via ImageSync. 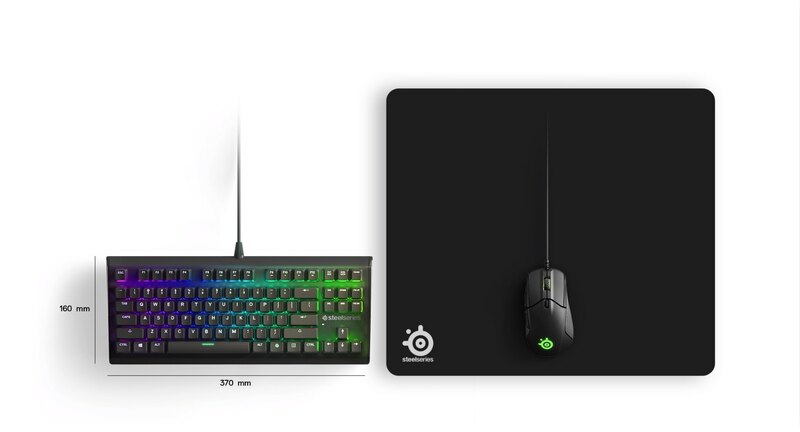 Who did SteelSeries partner with for the new QX2 mechanical switches? The 3rd generation SteelSeries mechanical switches were developed in partnership with Gateron. Gateron switches have quickly become one of the most sought after switches in gaming keyboards. What is the difference between the Apex M750 and Apex M750 TKL? The Apex M750 TKL is a compact gaming keyboard. The M750 TKL does not feature the numpad keys. All other features and benefits are the same between the two keyboards. How does SteelSeries CloundSync work? CloudSync lets you backup, share and sync your settings across all your platforms. Simply create a SteelSeries ID, login, and send your data to the cloud. Your settings are then available wherever go. Will aftermarket keycaps work on the Apex M750 TKL? The QX2 switch was designed to be compatible with mainstream aftermarket keycaps. In addition, the M750 TKL features a standard bottom row to ensure that full keycap sets are compatible. How easy is it to configure lighting? SteelSeries Engine software is universally recognized as being extremely easy to use. With the introduction of the Apex M750 and 750 TKL, we are taking SteelSeries Engine to the next level with a handful of new Engine Apps. ImageSync is a first of its kind, programmable tool that creates the most complicated lighting effects in seconds.